Aaron Johnson (19 points) readies himself for the front end of a one-and-one with five seconds left. He made both pressure free throws. 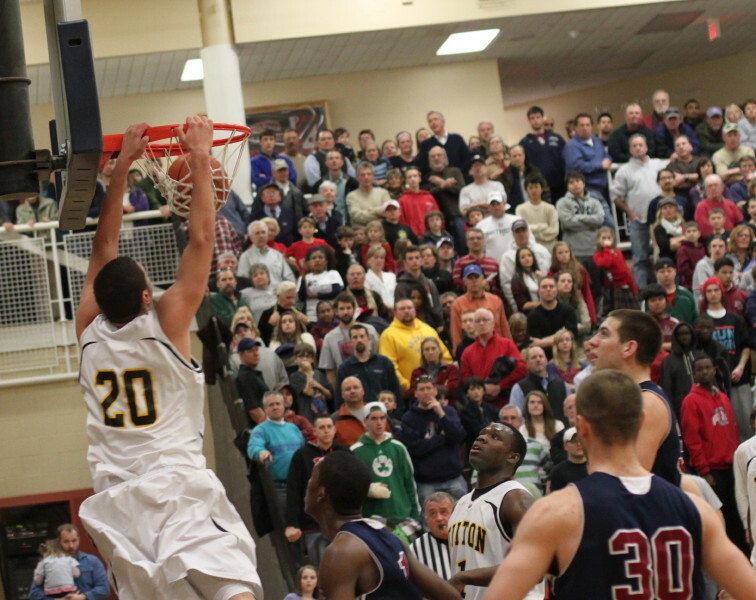 Georges Niang had 32 points for Tilton School. (Wolfeboro NH) An exciting game between two prep powerhouses came down to the last minute with Brewster Academy hanging on for a 60-56 win over Tilton School on Monday afternoon. One thing these teams don’t do often is lose. 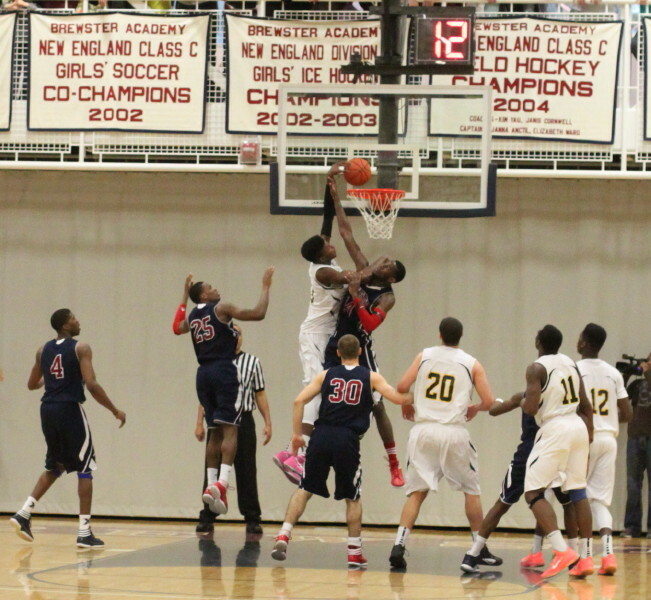 The Bobcats are undefeated (28-0) with a game left at Bridgton Academy before heading into the NEPSAC tournament. 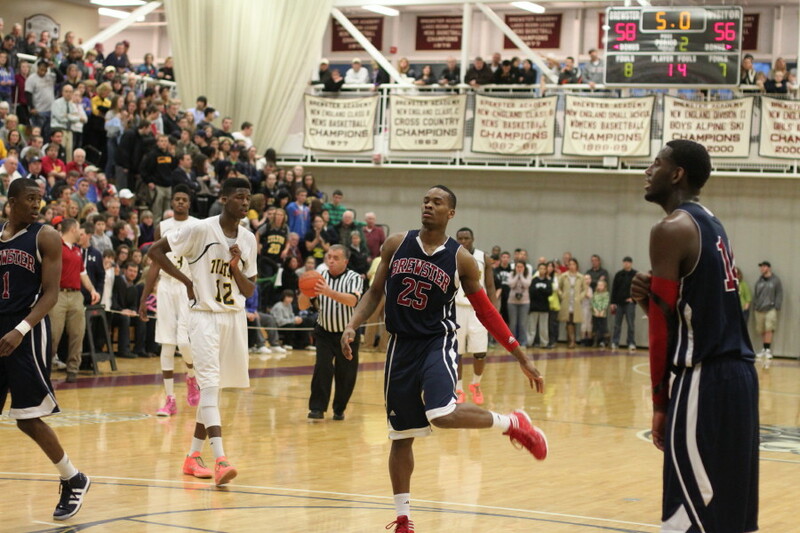 The Rams (24-4) have now lost three times to Brewster this season. Once was in overtime (December 10th) and then there was this last-minute one. 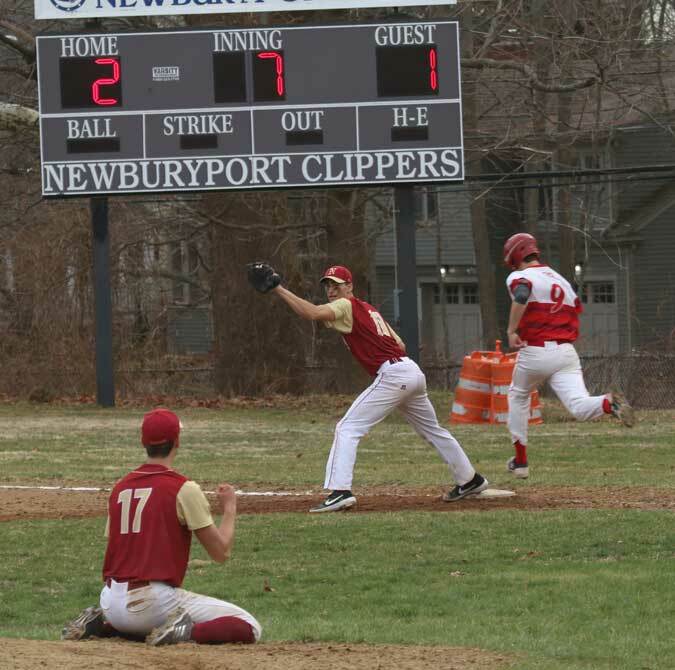 Both of the tough losses were in games played at Brewster. Georges Niang (Iowa State) nearly carried Tilton to victory. 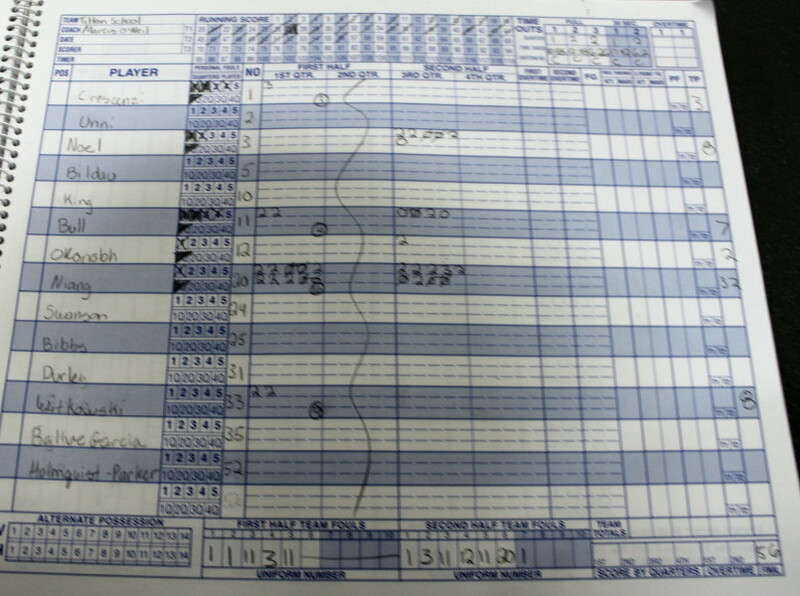 Georges tallied thirty-two, getting sixteen in each half. He had the ball in his hands late in the last minute trailing 58-56. Everyone paying attention knew Georges would attempt a shot. Aaron Thomas (Florida State) was able to deflect the 3-point shot and control the loose ball. 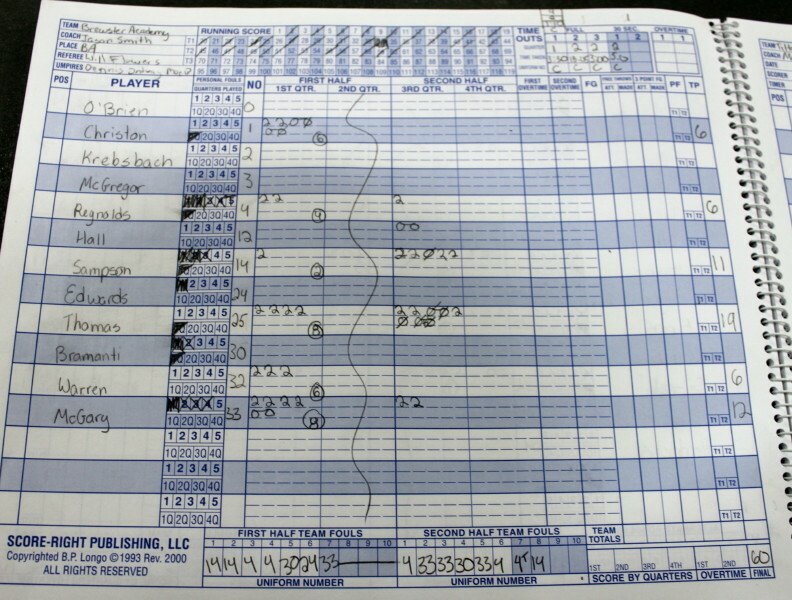 Later Aaron was at the foul line shooting 1-and-1 with five seconds left and a 2-point lead. 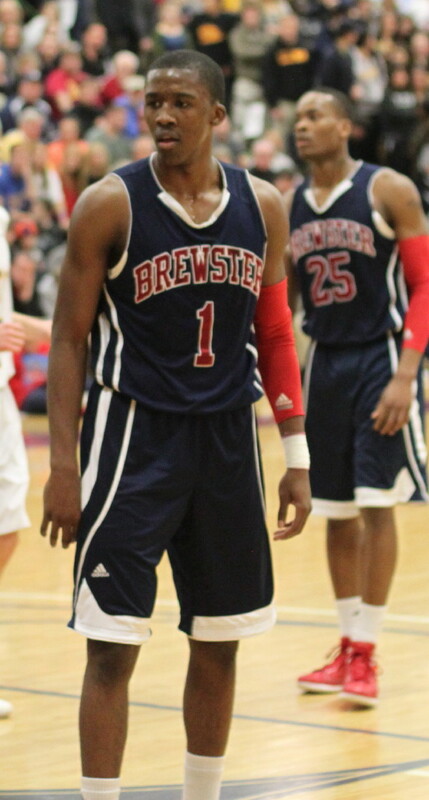 The 6-4 guard hit both, sealing the game for Brewster. 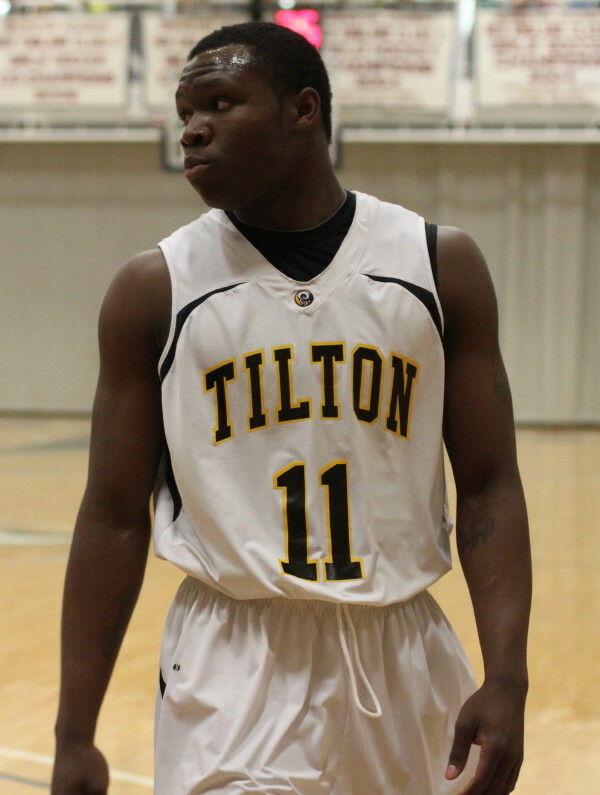 Tilton started slowly and fell back by ten after six minutes (16-6). With 6-11 Nerlens Noel and his 7+ blocks per game parked in the defensive lane it was shocking to see four Brewster jams (2 each by Aaron Thomas and Jalen Reynolds) among the eight Bobcat scores. The early read was a long game in front of an overflow crowd for the visitors. They had a sizable group of fans with them as well. The Rams were behind, 34-27, at halftime. The second half gave both sections of supporters plenty to cheer about as there were six lead changes. A jumper by Nerlens Noel and three straight inside scores by Georges Niang gave Tilton its first lead, 35-34, just 3+ minutes into the second half. The Rams would get their largest lead (52-47) with 8 ½ minutes left on four free throws and a Domonique Bull (Missouri) layup. 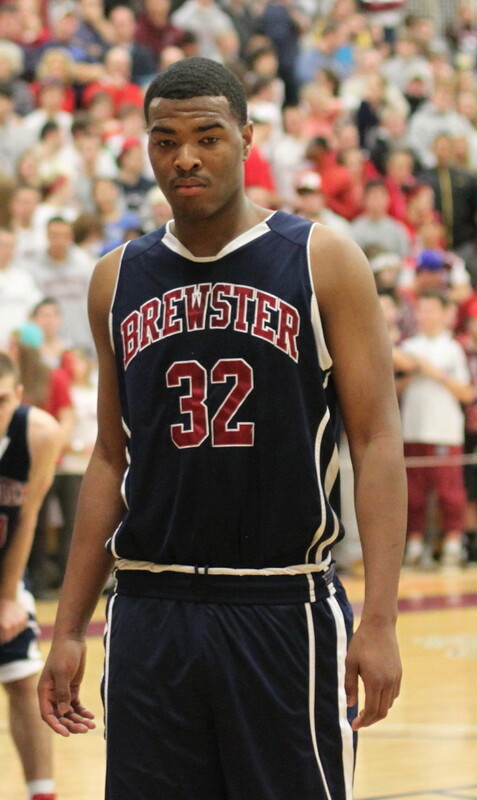 Brewster won the game during the next six minutes causing four turnovers and putting up eleven points. 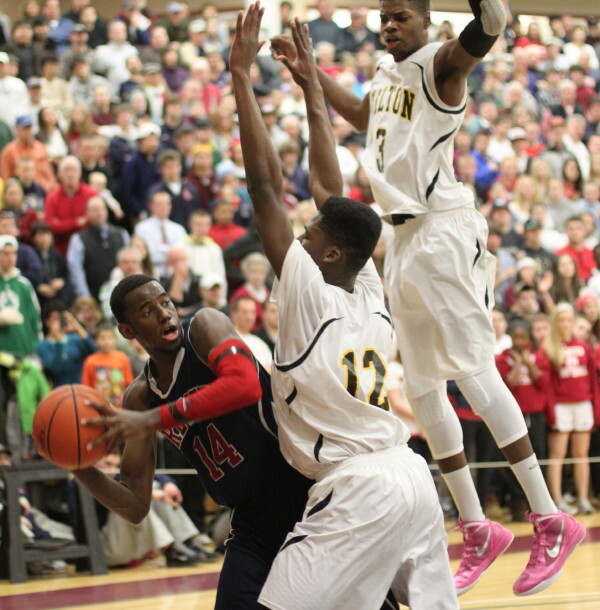 Tilton had a tip in (Goodluck Okonoboh) but that was it. 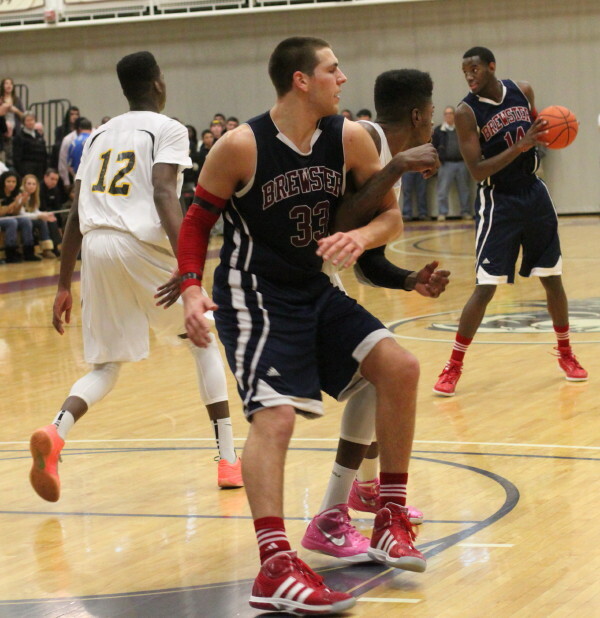 The winning basket resulted from a steal by Joe Bramanti. He took off for a layup which he missed but Jakarr Sampson was there for the putback to give Brewster a 58-54 lead with 2:15 left. Tilton could only get a layup (and a missed free throw) from Nerlens Noel thereafter while Brewster had the clutch free throws from Aaron Thomas at the very end. 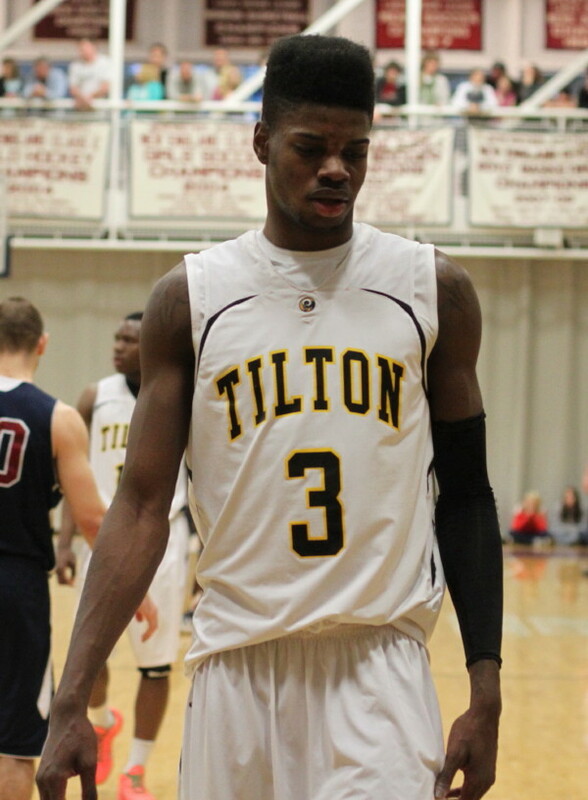 Aaron Thomas (19 points) was the star at the end with seven of the Bobcats last ten points. 6-9 Mitch McGary (Michigan) ended with twelve points while JaKarr Sampson had eleven including nine in the second half. 6-7 Georges Niang proved that he can hit from anywhere. The Tilton bench was begging for a timeout late in their last possession which wasn’t seen. Maybe a timeout and some organized offense could have gotten Georges a more open last shot. Nerlens Noel was the biggest point guard I’ve ever seen. I suspect that having someone 6-11 at the point had everything to do with making sure he was able to get back and defend against Brewster’s fleet of speedsters ready to get out on fastbreaks. Nerlens did have three blocks and discouraged a few penetrators from even trying a shot from in close. He hasn’t chosen a college yet but plenty of big ones including Syracuse, Providence, Duke, Florida, Kentucky, and Louisville among others have strong interest in him. Wayne Selden of Tilton was inactive from a high ankle sprain that has sidelined him for two weeks. I saw Joe Bramanti play for Andover (MA) in a loss last year at Andover to Central Catholic. 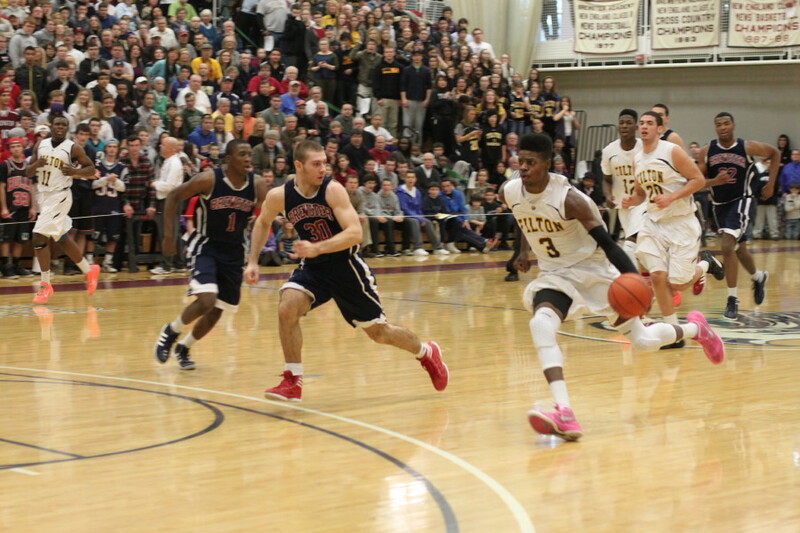 Tilton will not face Brewster in the NEPSAC tourney because they are in AA. 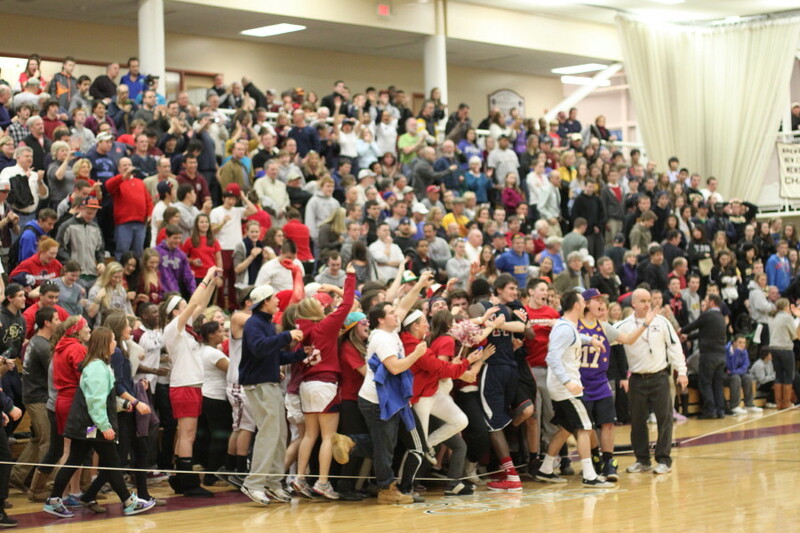 They have won the New England title in that class in each of the past four years. Don’t bet against them this time around either. The crowd was huge. I overheard a veteran Brewster school official say that they’d never seen anything like it. And this was on a Monday afternoon (4PM)!